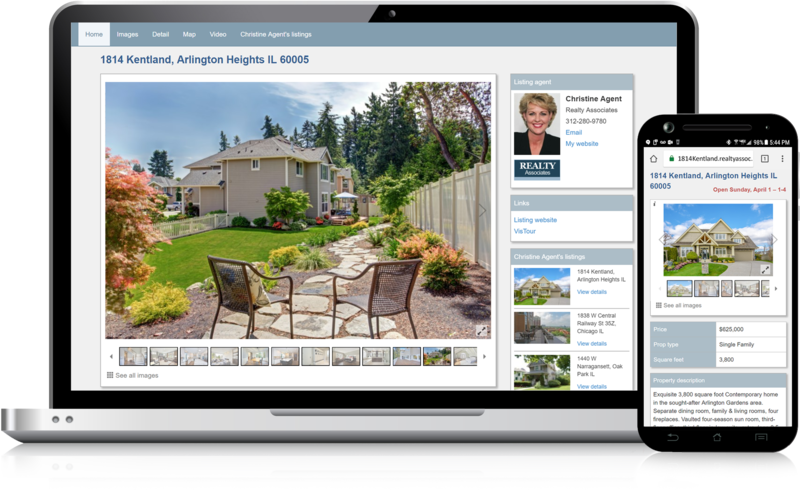 AdMaster™-generated single property real estate websites are a great way to showcase an individual listing or create an individual website for a seller with its own vanity URL. AdMaster™ already has the data - no input or enhancement is necessary unless the site owner chooses to do so. AdMaster™ single property websites are responsive and show optimally on any device. Links on the page resolve back to listing and contact pages on your broker website. 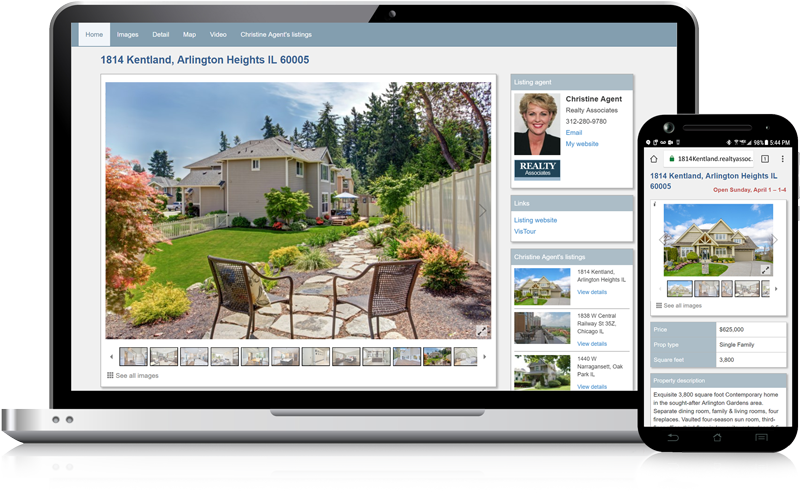 Each single property website has visual links to the listing agent's other active listings. A separate page on each site showcases a list of current offerings as well as an agent profile. Brokers can offer their agents vanity URLs (123MainSt.com) for their listings on an individual or ‘whole office’ basis. Those URLs can be incorporated into AdMaster™, which in turn can be listed in any print ad or online reference. DBA can also work with a broker to assign subdomains of your broker website to each listing, i.e., 123MainSt.brokersite.com.